The phrase common law marriage is often used by couples who are unmarried but have lived together for many years. It’s used in a belief that a couple who have been together for a long time have certain rights. Unfortunately for those couples there is no such thing as common law marriage in UK law. 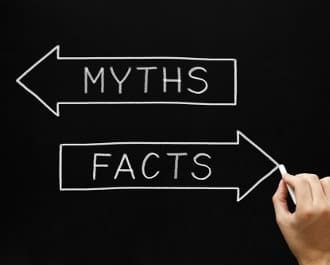 The Common Law Marriage myth suggests that if a couple have been together for a certain amount of time (though that time never seems to be specified), they effectively become common law husband and common law wife without officially having had a marriage ceremony. As such, they have rights over their “spouse’s” assets and liabilities, in the same way a married couple do. Property bought between them is considered co-owned, as are possessions, bank accounts, pensions etc. It is often something that cohabiting couples seem to lean on if they separate. Is there common law marriage in the UK? The unfortunate truth is that this is not the case. It is only by formally marrying – entering into a marriage contract in the eyes of the law – that a couple enjoys the advantages of the union. Are common law wives entitled to half of the joint assets – or any other percentage? No. There is no claim on banks accounts, pensions or properties in a partner’s name. A few years ago, a survey conducted by Woolley & Co found that 40% of people think that if a couple have been together for six months, they automatically have the same rights as legally married couples. Clinging to the myth of a common law spouse brings other issues too, around alleged common law rights. If the couple has children and are not married, unless the father is specifically named on the birth certificate, he does not have parental responsibility for the children. If they are married, the father does. Parental responsibility means a parent has certain rights, like to be involved in decisions on their children’s healthcare, have access to school records and that sort of thing. According to 2016 data from the Office for National Statistics, 47.6 per cent of births in the UK are to couples who are not married. Many of the babies born outside of marriage are born to couples who live together. In 2016, over 67% of all births registered outside marriage or civil partnership have been to a cohabiting couple. This reflects the general trend for couples to live together rather than marry. This trend is a concern for some who claim that unmarried couples with children are much more likely to break up. However, for the parents, accepting there are no common law husband/wife legalities, providing for the children and what happens in the future becomes a real issue. Marriage provides legal protection for assets which can provide for the children going forward. Those simply living together cannot do that. One option, providing some legal protection, for couples is a living together or cohabitation agreement. This is seen by some as a halfway house between the commitment of marriage and a free-spirit, no-rules arrangement. They are not a replacement for marriage but certainly have more about them than common law. In these agreements, a couple, after seeking legal advice, set out the terms of their relationship, who gets what if things go wrong and what arrangements would be in place for the children. These are still not common though and perhaps something that should be championed further in a bid to educate people and tear them away from the common law marriage myth. If you are reading this article because you are unmarried and worried about your legal rights you might want to take advantage of a free, confidential telephone appointment with a Woolley & Co lawyer.